With her natural elegance and beauty, Diane Kruger is one of the freshest, most recognizable faces in film. Attracted by her sophistication and artistic spirit, the House of CHANEL chose her for its ALLURE fragrance advertising campaign in 1996, then again for the Paris-Biarritz handbag advertising campaign, shot by Karl Lagerfeld in 2007. Now an ambassadress for CHANEL, Diane Kruger will be the face of a new skincare advertising campaign, due to be unveiled this year. Just in time to celebrate International Women's Month, Bobbi Brown Cosmetics is launching the Pretty Powerful Campaign for Women and Girls. Starting today, this worldwide movement is dedicated to empowering women and girls with education, resources, job skills and work experience and will aim to help them “be who they are.” The campaign will raise funds through the sale of a limited-edition Pretty Powerful Pot Rouge ($25) and via GlobalGiving.org. In the U.S., every cent of the proceeds from sales of the Pretty Powerful Pot Rouge will go to Dress for Success, which Bobbi has worked with for years. 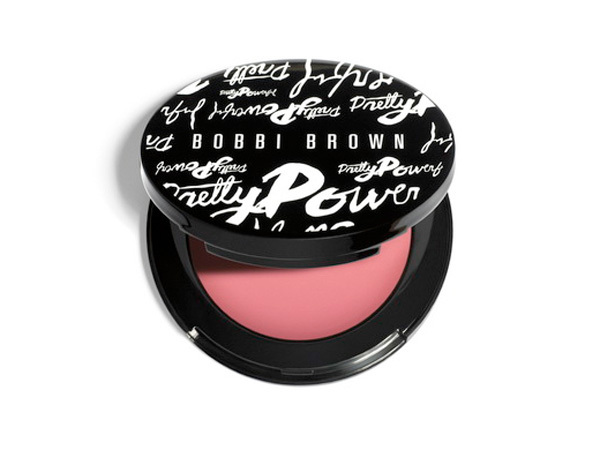 Purchase the Pretty Powerful Pot Rouge online at bobbibrowncosmetics.com. The color is designed to work on everyone. Here is Bobbi with a bit about the campaign and the Pot Rouge. This is Bobbi Brown Cosmetics’ first-ever global charitable initiative.